a. NOTE: Your social media profiles MUST be set to “Public” instead of private to enter. Each month our elite panel of music judges will choose 1 finalist to move on the compete for the grand prize on December 2018. The 3 finalists’ entries will be posted on all Mossy Nissan’s social media platforms where the public will vote for the grand prize winner. For the preliminary rounds, each month one entrant will win $500 in cash courtesy of Mossy Nissan. Winners will be selected on September 28, 2018, October 26, 2018 and November 30, 2018. The preliminary winners will be chosen based on musical tone and/or creativity and notified through their social media account that they used to enter from August 29, 2018 through November 26, 2018. Winner will be given 48 hours to claim and accept prize from initial contact. Entrants will be responsible for picking up their prize from the Mossy Nissan dealership of their choice. Odds of winning depend on entrants’ musical tone and creativity. By participating, entrants agree to be bound by these rules. Winner will be chosen and awarded at Mossy Nissan’s sole and absolute discretion. The prizes awarded are final and are not transferable. Entry requirements must be completed by 11:59 PM PST on September 24, 2018, October 22, 2018 or November 26, 2018 to be eligible. Mossy Nissan will not be liable for inability to notify the winners, whether due to inaccurate entry information, social accounts set to private or otherwise. If an entrant is found ineligible or if they do not comply with the Official Rules, then the potential winner will be disqualified, and an alternate winner will be selected. Entrants must be legal residents of the state of California and 18 years or older. Employees of Mossy Nissan and affiliates of its advertising and promotional agencies and their immediate families and any persons with whom they reside are not eligible. The public will vote on the 3 finalists to determine the Grand Prize Winner. Entrants must enter the contest in the previously mentioned manners by 11:59 PM PST on September 24, 2018, October 22, 2018 or November 26, 2018 to be eligible. The odds of winning depend on the number of cumulative points received from each entry’s posts on Mossy Nissan’s social media platforms. Points will be counted based on the previously mentioned breakdown. All decisions made by Mossy Nissan are final. 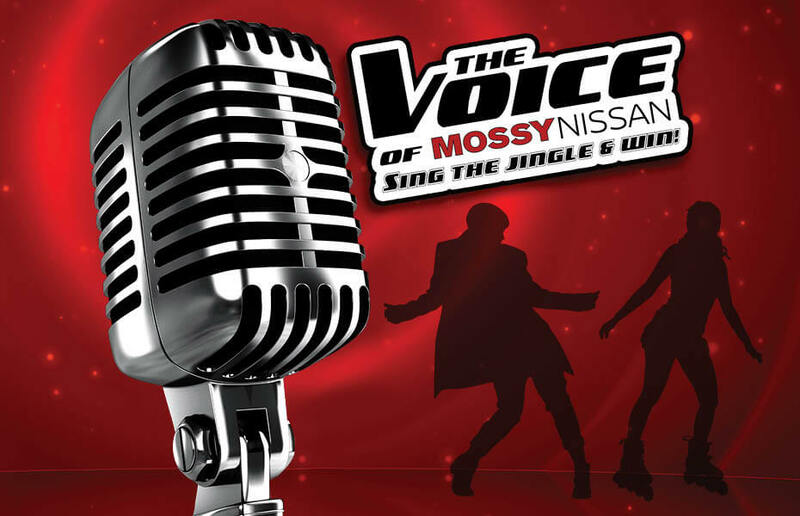 The Grand Prize winner will be announced and notified at Mossy Nissan’s Finale Pop-Up concert or via their social media account on December 14, 2018. Entrants must be legal residents of the state of California and 18 years or older. Employees of Mossy Nissan and affiliates of its advertising and promotional agencies and their immediate families and any persons with whom they reside are not eligible.